Here are some thoughts from Cllr Lynn Evans who is the District Councillor for Murray Ward, and Chairman of the Parish Council. 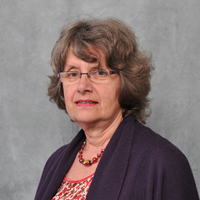 Lynn is most keen to hear your views on the development so she can ensure they are well represented at the planning committee when the plans are submitted. If Taylor Wimpey stick to their ‘end of October’ timescale then this planning committee would be in January or February 2015 at the earliest. “The Public Consultation in March this year showed an over whelming community preference for Hazleton and Pyle Farms as the area to develop. This site could, if approved, accommodate all 700 houses needed and would be built out over a number of years. 1) The development would be on land which forms part of the gap between Horndean and Catherington. 2) More houses would mean more traffic on already busy and congested roads. 3) Housing density on the built area would be 40 per hectare. 4) Land has been designated for “Open Space” which is of little use to the community as it slopes steeply. 5) The Catherington Lith Nature Reserve would become more isolated from surrounding wildlife affecting the ecology of the area. The local residents are opposed to the building of 73 houses in this location and there is no good reason to build on this land and many excellent ones for not doing so. I visited the site while out walking today and was surprised at how small the piece of land actually is. I had attended the Taylor Wimpey consultation earlier in the week and the plans appeared to be for a larger site. Although if is already a residential area, the density of develooment proposed is out of keeping with the current housing stock thus the new development will seem jammed in by comparison. The approach road from Five Heads Road is itself an estate road to the existing and recent housing development and appears heavily doubled-parked. Highcroft Road however is wider than Blendworth Lane which recently received a favourable response in a request by Sunley Homes for their development access. Guy… Do we need to email or contact Cllr Lynn Evans direct or are comments placed on this site passed on? Hi Vince, I fully agree with your concise view! Comments on here will be forwarded on. Best wishes, Guy. Hi, just a point I thought worth mentioning is the horrendous New Estate that is being built on the Hambledon Road on the left towards Denmead which looks like a prison camp was built by Taylor Wimpey as you travel through this estate toward the Tip you will notice the atrocious lack of planning I e parking space only big enough for Smart cars so the main body of the car hangs over the Road.Also on the original plans there were trees to be planted in front of the blocks of flats they seem to be forgotten in the quest to squeeze as many properties as possible on this land.This is the company that wants to spoil our countryside and build on land at Chalk Hill Road. 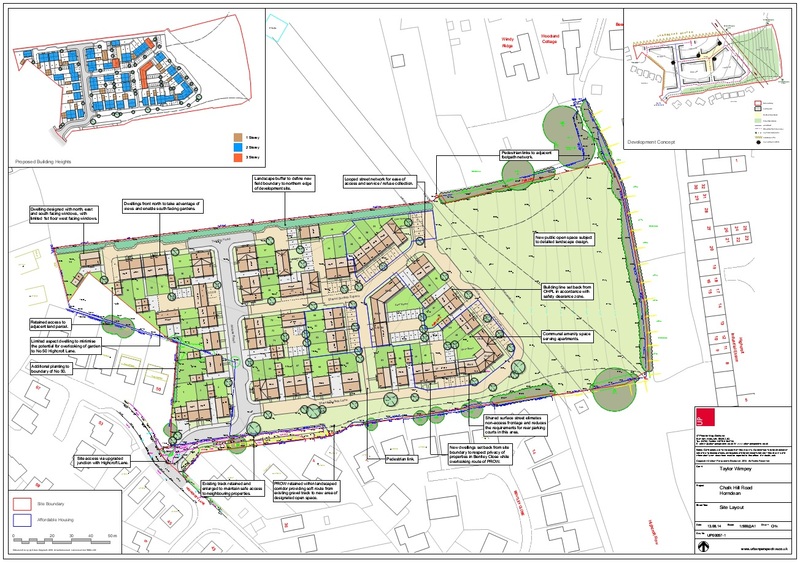 Though I realise houses need to be built it would be so much nicer if a visitor was travelling through Horndean would comment how nice those New Houses looked instead of the site next to Keydales Nursery already looking like a future slum with the houses so cramped up together. More thought needs to be given in the design of new properties rather than just the Builders greed on how many houses can be crammed onto a site. Just to let you know over night in Durlands Road Tarberry Cres. And Five Heads Road seceral traffic survey cameras and boxes have appeared. Hi Vince. They really are tiresome Ba$^&*$£, aren’t they. I have raised it with the case officer and asked them to look into it. Thank you for this alert, Guy. As I expect you are aware the Outline Application by TW for Chalk Hill Road development has now been submitted to EHDC planning (7th Jan) and we have until 5th Feb to voice our comments/objections – I am in the process of reading the updated documents and reports issued by TW with their bias survey so that I may post my comments against this application – ref 55505. Wonder if you could produce a blog entry allowing the people who follow your blog to be aware and submit their own comments. Hi Lee, thank you for the message and I have an article just about ready to post with site plan, poll and how to comment etc. I’m just waiting for one of my colleagues to give me a comment to add. I hope to post it in the morning. Best wishes, guy.